People having an interest in Burma may have come across of quite a comprehensive report on the coming unfair elections and equally dubious constitutions. The one sided prognosis, as published in Los Angeles Times and the release ICC report are just some of the classic examples. Of course, the people of Burma should thank these aliens for having an interest in Burma, which most of the world has forgotten, if not forsaken. Well intentioned or not, they have unwittingly played advocacy for the Junta and who knows how the Junta reward them, as in the past it often does in hiring an advocacy firms to brush up its tarnish image. But the one aspect which they undoubtedly did, was that they did not consider any moral aspect of the conflict, for after all morality did not play an integral part in their thinking and what else Burma is a far away alien Buddhist country somewhere in remote parts of the world. 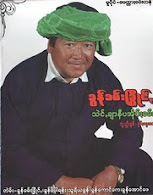 Judging from the irrational conclusions on the NLD such as “Boycott Misguided” these SIPs (not the well known Sub Inspector of Police but rather Self Appointed Persons) have little or no idea of what the Burmese psyche or rationale is, not to mention the cultural and the values of the people of Burma. The Nation Daily in its Editorial has hit the nail squarely on the head, when it pointed says that the phrase of “something is better than nothing” seems to encourage the Machiavellian theory of the end justifies the means and embraces the ideology of defeatism. This seems to coincide with the some of the ethnic nationalities leaders and traitors who like to go along with the Junta in participating in the unfair elections just to get a piece of cake. The Generals and the international community knows very well that the legitimacy which the tyrannical Junta craves so much, depends on whether the mass of the people participated in this unfair elections or not. Obviously the Junta is relying on its (USDA) Union Solidarity and Development Association, cronies, traitors, apologists, and opportunists and is threatening the ignorant people to vote or else in order to achieve its goal. It was at this crucial period that these aliens come up with their theory that “something is better than nothing” and heap the blame on the true patriots of the nation. What an ironical and paradoxical stroke to deliver the coup de grace to the democratic loving people of Burma. These aliens did not seems to understand that the people of Burma are now more united than before in repelling the vehemently hated Junta and have categorically and unanimously show their support to the NLD led by the noble, Nobel Daw Aung San Suu Kyi when it rejected the Junta’s approach. They knew that they will suffer immensely in denying the Junta the legitimacy which they are mad about it. The so called alien think tank did not consider if the voters are free to cast their ballots with free will. How can voters cast their ballots freely if they are being controlled and watched by plain-clothes police officers and thousands of spies in the neighbourhood? Everybody is scared as every name and household has been scrutinised and put in the records. The people know that what they do at the polling stations will come back to haunt them. But they also know that NLD is no longer a political party but the voice of the entire people of Burma, it is the national character of the entire people of Burma not only for democracy and human rights but for justice and dignity, which the men in uniforms did not have. The very grain of the people of Burma is he a Myanmar or a non Myanmar. This is the first victory for the people of Burma. The second victory is given by the ethnic nationalities of Burma who all are now united and is ready to stand shoulder to shoulder with the pro democracy forces in repelling the Junta. It was the Junta’s Generals that blink first, in a show down with the ceasefire groups concerning the border guards. So many datelines have been passed and now they came up with the lame excuse of postponing to the post election period. The explicitly proves the theory that the Junta only understands brute force and armed might. They are anathema to reason and Dialogue which the NLD has been using all these years. Hence, the international community should seriously consider this aspect. No doubt the Burma, even though in Asia has an African mentality when it comes to politics. But this African mentality of politics is confined to the Burmese Generals only and not to Daw Aung San Suu Kyi and the NLD which represent the people of Burma. The people of Burma are considered by many as the most hospitable people in the world and peace loving. Lamentably, the self appointed think tank people could not comprehend this trend. The third aspect of the victory is that the EU and USA had made known that the constitution and the elections are fraud and will not recognize the elections results which is a knockout blow to the Junta. In face of all these authenticated proves why did these Chee Brain (csD;OD;aESmuf) comes up with such hypothesis one cannot conjecture. Their conclusions, clearly paints the picture that the so called think tanks are not really serious about the suffering of the Burmese people. The Burmese people have been living under the military junta, tightly monitored and suppressed for more than half a century. And yet, the international community is slow in taking collective action because of such kind of wrong conclusions. On the other hand investments from the West have strengthened the regime. Let me repeat the Nation’s editorial, “The ICG's claim that the voting in Burma could be "relatively fair" is preposterous. That is exactly what the Junta wants to see, and that explains why dictatorial governments around the world no longer succumb to any international pressure. It seems that at a time when the people of Burma are preparing to reject the Junta en masse and even Than Shwe have dared not name the elections date yet, these think tanks wants to soften up the people of Burma and give a wrong message to the Junta in encouraging the junta leaders to be more thoroughly prepare to make sure they win the polls.